Rocana Institute of Technology Enugu, [RIT Enugu] Post UTME Admission Form, Admission Requirements, Cutoff Mark, Method of Application for 2017/2018 Academic Session. NID Computer Hardware Engineering Technology. 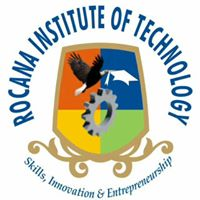 Rocana Institute of Technology, Enugu is an Innovative Enterprise and Vocational Enterprise Institution (IEI/VEI) with the aim of providing high quality training in innovation, vocational and technological education at various points of social stratal. The courses which are offered in the institution prepare students for entry-level employment in the skill acquisition and training: also private sector and the government. Admission into the instutute for diploma programme is through the Joint Admissions and Matriculation Board (JAMB). Prospective Students must obtain five (5) credit pass at O' level (GCE/SSCE/NECO/NABTEB), at not more than two sittings, including English and Mathematics or its equivalent to be able to gain admission into the institute successfullly. For admission into the vocational studies, the minimum requirement for admission is the Junior Secondary School Certificate or its equivalent. Kindly logon to http://ritenugu.com/prospective_students.php to view courses and specific admission requirements. Application forms can only be obtained directly from the school at No. 37/38, Abiriba Street, Emene Industrial Layout, Enugu East, Enugu, Nigeria .